FEMISE launched in 2018 its series of interviews called « Med Change Makers ». 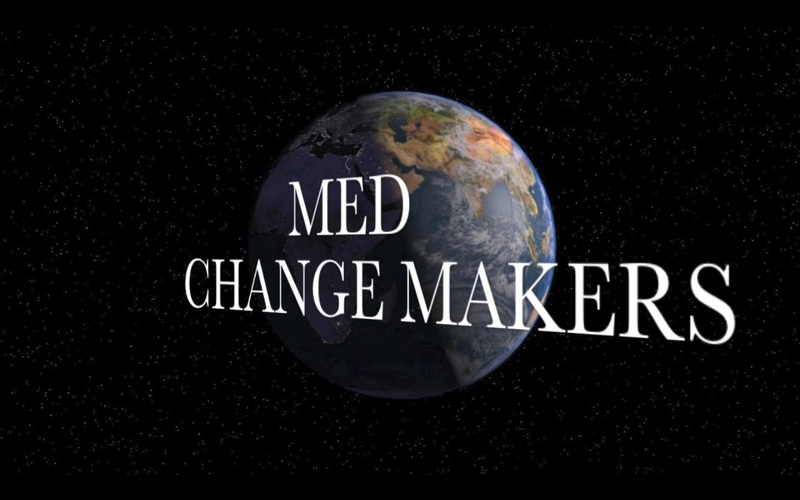 « Med Change Makers » are text and video-based interviews that allow dynamic researchers of the FEMISE network to illustrate how their research addresses a policy-relevant question and how it contributes to the policy-making process in the Euro-Mediterranean region. Environmental issues are among the priorities of FEMISE research / action. In the Mediterranean, the consequences of climate change will always be stronger than elsewhere. The reduction of greenhouse gas emissions and the adaptation needs of bordering countries are more than ever necessary. 1. Your recent FEMISE Brief is focused on the comparison between GPP and environmental taxation. What are these two policy instruments and why do you focus on them ? The first instrument is Green Public Procurement and is related to the process whereby public authorities seek to procure goods and services with reduced environmental impact. Accordingly, it corresponds to their initiative to consume eco-friendly products. This policy instrument is relatively new: within the EU the importance of GPP was stressed in 2003 when the member states were urged to adopt national plans for greening the public purchasing policy. Despite the relatively slow development of GPP, 55% of the contracts signed by European public authorities in 2009/10 included at least one EU core GPP criterion. The second instrument, which is the environmental tax, targets directly the negative impact of production. Nowadays, in the EU-28 such taxes account from 30-50% (UK, Belgium, Italy, Denmark) to 60-80% (Germany, France, Norway) and even to 80-100% (Spain, Liechtenstein) of all key environmental policy instruments in use. Environmental taxation accounts for 2.4% of the EU-28’s GDP varying from 0.77% in Liechtenstein to 4.14% in Denmark. Why focus on these two policy instruments? First of all, because they belong to alternative approaches to regulation that feature mandatory vs. voluntary participation and direct vs. indirect influence. The second reason is that while environmental tax can be considered as one of the most or even the most widely used policy instruments, the expansion of GPP is much more modest. But at the same time, GPP has been constantly high on the policy agenda of different countries since 1970s that shows its expected potential in the environmental policy development. Thus, the main reason to choose taxes and GPP for our analysis is to investigate the pros and cons of a traditional and a relatively innovative policy instrument exploring their possible complementarity or/and substitutability. 2. Are economic instruments for environmental policies widespread in Mediterranean countries of the South shore and why (not) ? Are there South-Med success-stories ? The South-Med countries are mostly focused on the environmental taxation as the more transparent and straightforward instrument: it represents from 64% (Israel) to 100% (Egypt, Tunisia) of key environmental policy instruments toolkits. Meanwhile, in the majority of countries they represent a relatively modest share of GDP. At the same time in Israel green taxes account for 3% of GDP and 2% – in Morocco which is in line with European practices. Public purchasing accounts for around 18% of GDP within the MENA region indicating a significant potential to influence markets and industries. Green procurement is not widely developed though. However, we would mention such countries as Israel, Egypt, Morocco and United Arab Emirates as leaders in GPP movement. According to the Ecolabel Index, there are up to 20 eco-labels in each of these countries including such nationally developed green standards as “Green Star” label for the responsible tourism in Egypt or a multi-industrial Israeli Green Label. These countries have also launched a range of governmental programmes supporting eco-innovations. In general, environmental regulation is not well-developed in the South-Med countries. Among the reasons we would mention a wide range of social and economic problems that seem to be more urgent. At the same time we observe the development of environmental policies that indicates the growing understanding of their importance. 3. How can environmental policies and instruments in the South Med co-exist with the social and economic difficulties these countries are facing ? It is well-known that the South Med region experiences a wide range of social and economic difficulties that might seem to be much more important than ecological threats. At the same time, the costs of environmental degradation for this region ranges from 2-3 % of GDP in Tunisia, Jordan, and Syria, to 5-7 % of GDP in Egypt and Iran. These figures are impressive. They assure that without developing green policy, the South Med countries risk to deepen not only the ecological problems but also the social and economic difficulties. Moreover, focusing on economic development without corresponding environmental restrictions could potentially aggravate environmental degradation worsening the quality of life of the population. As an example, we would particularly stress health problem that can drastically reduce GDP. The link between environment, health, and GDP is potentially strong in the absence of environmental regulation and in the presence of “basic” threats such as car emissions, for example, that most directly affect the population. 4. How important is the coordination of environmental policies across South Mediterranean countries and why ? What direct and indirect benefits ? Our research urges for the policy harmonisation across trading countries. We see this strategy as a first-best or a “win-win” option that allows the actors to coordinate their environmental efforts without implicating any disproportional burden to any of them. Otherwise, the countries who focus more on the environmental regulation could be demotivated by the return effect of international trade. Thus, the country who opts for more severe environmental taxation wins from trade integration with the country who introduces GPP or lower taxation. In the literature this phenomena corresponds to a “pollution haven effect” by which trade integration makes polluting industries move from countries with more severe to countries with less severe environmental regulation, while not necessarily leading to the reduction of global environmental degradation. If all countries opt for the GPP policy, the more environmentally virtuous country whose government spends more on green goods faces purchasing power decline while the less environmentally virtuous country whose government is less generous in environmental spendings gains. In our research we call this result a “paradox of virtue”. Last but not the least is the argument of trade and environment complementarity. When environmental policies are identical both in their type and stringency, trade integration leaves the environmental degradation level unchanged but incurs an increase in purchasing power across trading countries. Consequently, on the side of direct benefits of policy harmonisation we would mention environmental degradation decline and the equality of the policy burden. Talking about the indirect effect, we definitely stress the positive effects of the regulation to the business traditions as well as consumer preferences. Even more, harmonised policy implies the harmonisation of eco-standards across countries that simplifies the cross-country cooperation, joint ventures development, and public control. 5. How can collaborating with the EU, within the framework of EuroMed cooperation, provide answers to environmental concerns ? The EU is known for its well-developed system of environmental regulation that can be seen as one of the examples to spread to the South-Med countries. Both the public and the private institutions of the EU contribute to the system of eco-labelling and eco-certification, influencing the choice made by consumers and enterprises. Thus, Germany and Austria are the pioneers of GPP programmes. Since 2008 the European Commission has developed more than 20 common GPP criteria covering a wide range of sectors. The EU has also proposed criteria of two different types, core and comprehensive. Core criteria address the key ecological impacts and are easy to get verified while comprehensive criteria are stricter and more complex requiring additional verification efforts. The variety of criteria guarantees the flexibility of the GPP strategy that can be tailored to the needs of a particular industry and country. 6. Are there other frameworks of cooperation (regional, bilateral) that can benefit the South ? We particularly stress coordinated GPP as a form of cross-country environmental support. Our research shows that GPP can be related to the environmental support across countries when one can be a donor, and another one – a recipient. A country that has higher financial and institutional capacity to develop GPP can increase its green public spending allowing a country that has lower financial and institutional capacity to develop GPP to benefit from the green demand of the partner country. Donors are in the position to set the standards and quality control that allows to diminish or even avoid greenwashing and, at the same time, propagate the corresponding ecological standards to the recipient. By getting accepted, the environmental criteria system could uniform the rules for companies in all participating countries facilitating their access to the markets and diminish the environmental degradation. This approach could be considered for the collaboration of EU and MENA countries in order to strengthen the environmental policies in the latter and establish a first step towards the harmonisation of green policy approaches. 7. What is your top-recommendation for South Med officials ? First of all, we recommend the wide implementation of GPP as an efficient approach to environmental policy design. Despite being a voluntary tool, it can motivate firms to opt for green technologies even when the only incentive is originated from the government. The effect can be amplified by taking into account the consumers eco-biased demand that, in its turn, can be boosted by the corresponding public policy. At the same time, GPP is not risk-free: the absence of public monitoring can diminish the positive effect of the policy approach allowing firms to greenwash, or cheat on the environmental quality of their products. Accordingly, a corresponding monitoring policy is required. Second main recommendation is to opt for the long-term environmental policy harmonisation even across countries with different level of economic and institutional capacity to introduce symmetric policy instruments. The coordination of environmental policies is of particular importance for the South Mediterranean countries in view of meeting the Sustainable Development Goals (the UN, 2015), as well as for two following reasons. First, a relatively low share of intra-regional trade with the EU which is expected to increase due to the current policy agenda of the Euro-Mediterranean trade partnership. Thus, further trade liberalisation will increase the opportunities for cross-region cooperation and an environmental policies harmonisation could be key to avoid the above mentioned “pollution haven effect”. 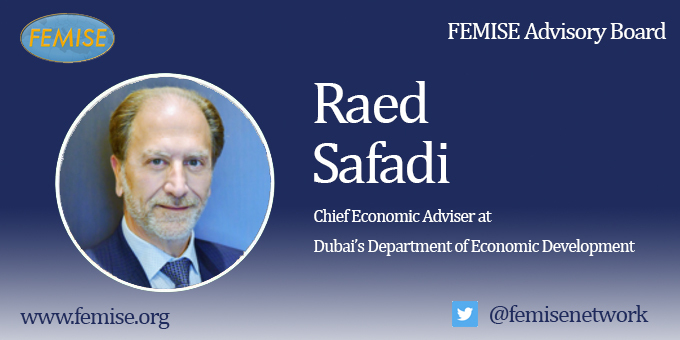 Second, the decline in economic growth in the MENA region that could potentially be partially restored with the contribution of a deeper trade integration. At the same time the environmental degradation increase that might correspond to economic growth can be mitigated by the environmental policies coordination. MYCN, Institut de la Méditerranée and FEMISE announce their collaboration in the framework of a strategic partnership. The three institutions are committed actors in their efforts to contribute to inclusive and sustainable development models, to promote environmental and youth-inclusion values at the Mediterranean and international levels. They are aware of the need to pool means in order to act for strengthening the impact and outreach of messages, as well as to enrich knowledge. The works of the FEMISE think-tank and of Institut de la Méditerranée show that new models are needed in the Mediterranean to bring about economic, social and environmental change and to show the whole society the potential of young Mediterranean people as solution-makers. For its part, MYCN is a Mediterranean Youth Network for Climate, a place conceived for the sharing of ideas and the implementation of concrete actions. It is also a place for the capitalization of the know-how of young people around the Mediterranean, placing them at the forefront of climate action, which is a major priority for the region. organize joint events and publications and carry out awareness-raising in the countries around the Mediterranean. 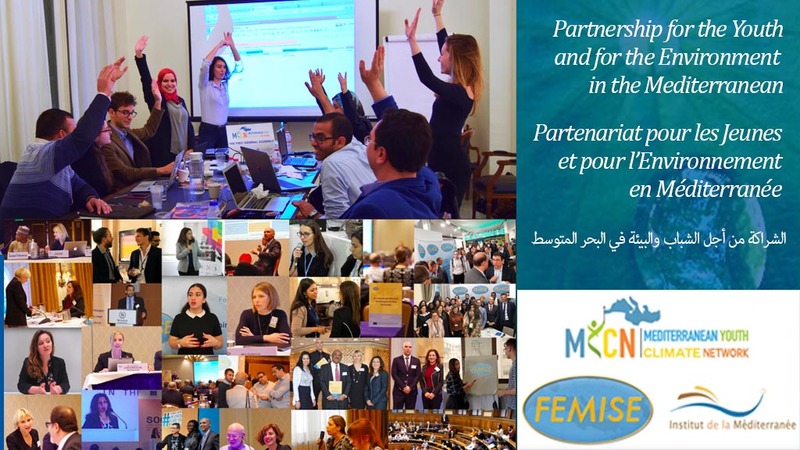 For MYCN, FEMISE and Institut de la Méditerranée, it’s not just about talking regarding the youth, but about working with them and including them for inclusive and sustainable solutions in the Mediterranean! The latest FEMISE MED Brief is on ” Closing the gender gap: policy-making that promotes inclusive Mediterranean societies” and is available for download here. Summary : This MED Brief presents some preliminary findings of a recently launched assessment of existing policy measures regarding women empowerment issues in the South Mediterranean region. In order to explain the persistence of numerous gender gaps, I examine the reasons behind the inefficiency of national policies regarding gender equality, by comparing the wanted effects of implemented legal measures with the latest state of play in terms of gender issues in the different countries of the region. Combatting unconscious biases and policy inefficiency goes through increasing the outreach of female success stories, mentoring, promoting collaboration between stakeholders and embedding women empowerment in public-private partnerships. The list of FEMISE MED BRIEFS is available here. The policy brief has been produced with the financial assistance of the European Union within the context of the FEMISE program. 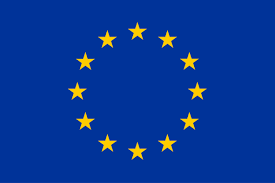 The contents of this document are the sole responsibility of the authors and can under no circumstances be regarded as reflecting the position of the European Union. 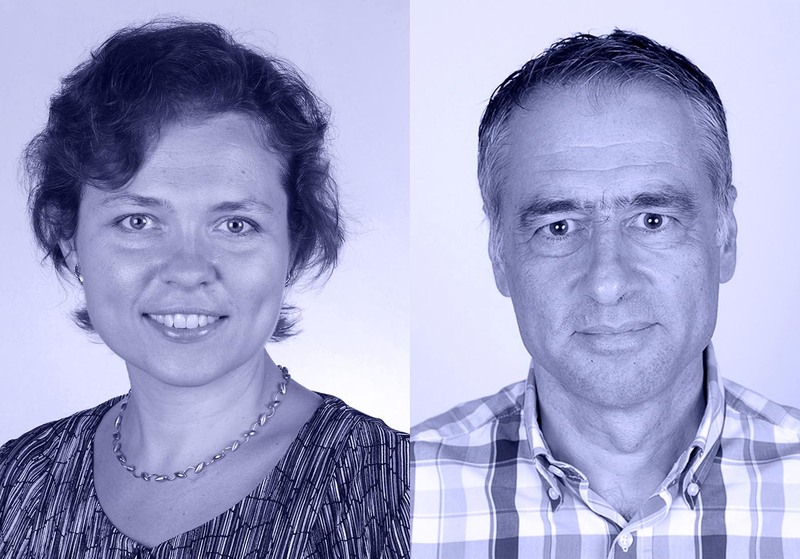 New FEMISE Advisory Board ! FEMISE is pleased to announce the launch of its Advisory Board ! The Advisory Board will make valuable contributions towards FEMISE strategy and vision. Members of the Board are key figures in the EU-Med region or outside with well-known achievements and contributions towards shaping the future of the Mediterranean. 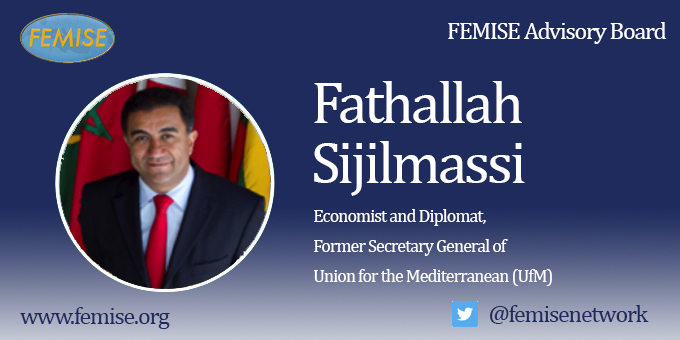 Born on August 21st, 1966 in Rabat (Morocco), Ambassador Fathallah Sijilmassi is an economist and a career diplomat. After having worked at the « Banque Commerciale du Maroc » (currently Attijariwafabank) in Milan (Italy) from 1989 to 1992 and then at the Moroccan Foreign Trade Ministry from 1992 to 1999, he held, at the Moroccan Ministry for Foreign Affairs, several senior level positions : Director of Multilateral Cooperation (1999-2001) and Director of European Affairs (2001-2003). In 2003, he was appointed by His Majesty the King of Morocco as Ambassador to the European Union in Brussels (2003-2004), then to France (2005-2009). From 2009 to 2012, he is back to Rabat (Morocco) and is appointed CEO of the newly created Moroccan Agency for the Investments Development (AMDI). During this period, many international companies and SMEs chose Morocco as their regional platform. From 2012 to 2018, Fathallah Sijilmassi is Secretary General of the Union for the Mediterranean (UfM), an international organization, with headquarters in Barcelona (Spain), bringing together 43 countries of the Euro-Mediterranean region and whose vocation is to promote regional dialogue and cooperation. Throughout his career, Ambassador Sijilmassi gave several conferences in universities and think tanks in Europe, the Arab world, Africa and North America. He has published several opeds, articles and interviews in many European and Mediterranean medias (in English, Spanish, French and Arabic). F. Sijilmassi holds a Phd in International Economics from the University of Grenoble and is a graduate of the Institute of Political Studies of Grenoble. Fathallah Sijilmassi speaks fluently 4 languages: Arabic, French, English and Spanish. He is married and father of two. 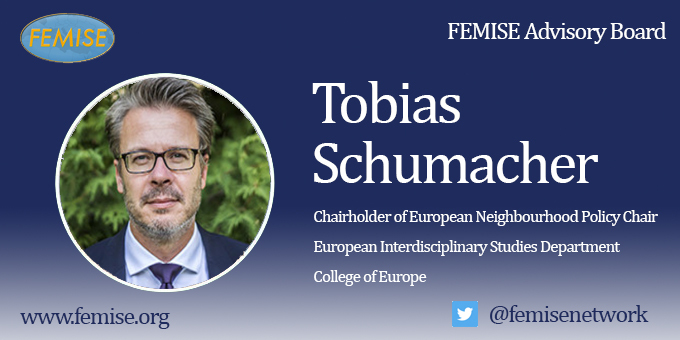 With Graduations in International Law and Political Science, he has dedicated his whole career to the European integration. In 1978, he begins by working for the French Prime Minister (Raymond Barre) in the legal department of the S.G.C.I., now S.G.A.E. From 1981 to 1989, he served at the European Court of Justice as First Secretary at Law of the French Judge, and at the European Court of Auditors as deputy-Legal Counsel and Director of the President’s Private Office. In 1989, he joins the European Investment Bank where he is appointed Spokesperson and Director of EIB Group’s Communication. In late 2003, he becomes the EIB Group Representative in Paris, also in charge with the institutional liaison with non-EU International Organisations. 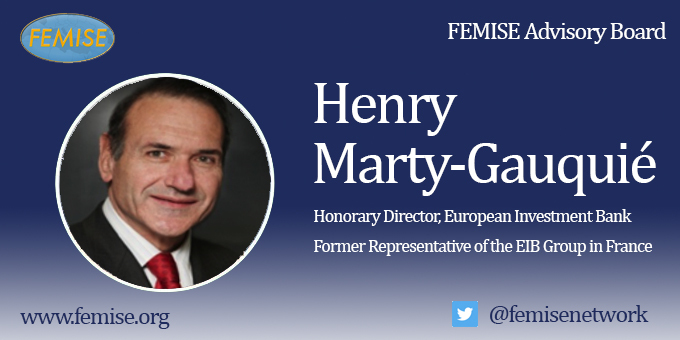 Although retired since end of 2016, he has kept various responsibilities such as Board Member of the French Institute for PPP (IGD), Paris, and Member of the Advisory Board of the FEMISE Network, Marseille and Cairo. 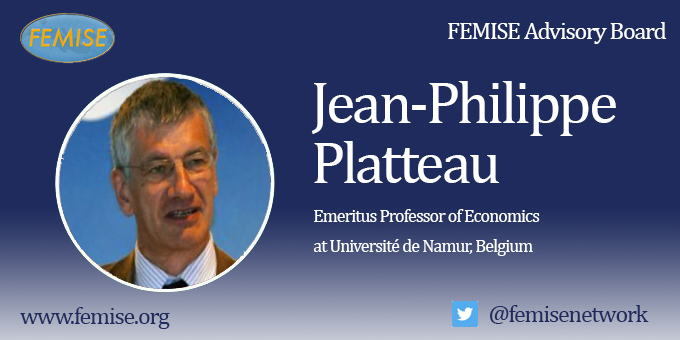 He is also Member of the Scientific Councils of the Sharing Knowledge Foundation, Geneva, of the Association Euromed-IHEDN, Marseille and Paris, and has joined the “Groupe d’analyse JFC Conseil”. Ordre du Mérite européen : Silver Medal. The latest FEMISE MED Brief, co-edited with Plan Bleu, is on ” Green Public Procurement v.s. Environmental Taxation: implications for the EU-MENA environmental policy ” and is available for download by clicking here. Summary: Environmental policies are among the priorities of the UN agenda and figure highly in national and international policy agendas. This brief focuses on environmental taxes and green public procurement (GPP). These two environmental policy instruments differ in political viability and in the impact they have on consumers and producers. The brief provides a comparative analysis of their efficiency in closed and open economy and reveals the opportunities and threats of (un)harmonised environmental policy across countries. The results allow to consider particular implications for the collaboration of EU-MENA countries. 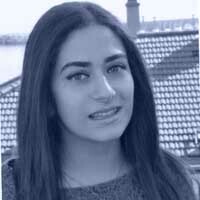 FEMISE recently launched its series of interviews called « Med Change Makers ». FEMISE places the issue of Inclusiveness at the heart of its research strategy. The issue of women empowerment in the Mediterranean, and more generally in MENA, is of paramount importance to move towards a model of sustainable and inclusive development. 1. You talk about the “Mediterranean Paradox” while describing the situation of women in the South-Med. What does it imply and what are its root causes? The Mediterranean Paradox is easy to explain: On the one hand, educational attainments of women improved drastically in the region and female enrolment in schools and universities increased considerably. But on the other hand, women seem to still be struggling to find a place in the labour market. Female labour force participation rates in the region remain lower than in other developing countries and stagnant. In other words, it seems like women participation to the labour market in the South Med is constrained by other factors than access to education. Regarding the root causes of the paradox, several obstacles are identified as impeding on women’s economic inclusion. First, the analysis of the labour market structure in the region shows that while in the public sector employment opportunities contract, opportunities in the formal private sector do not rise. Therefore, the increase in the number of educated women translates in an increased female unemployment or a lower female participation in the formal sectors. Second, women’s overall labour participation levels seem to be affected by economic development and improvements in gender equality legislation (or lack of) as well as by the private foreign ownership of the firm and its exporting activities. Other impediments such as the lack of safe, efficient and cheap public transports hamper commuting to work for women. However, such economic and practical explanations do not explain the whole Paradox; some key factors are cultural. This argument states that women from conservative societies would tend to participate less in the labour market given the large impact of social norms on their trade-off between working outside and being housewives. The considerable negative effect of traditional social norms would be materialised in several conscious and unconscious biases that dissuade women from choosing a professional carrier. To understand the full situation of women today, all of these arguments matter. The situation is a complex mix between explicit concrete and implicit psychological obstacles that interact both at the macro and micro levels. Women in the South-Med today face structural multi-layered self-reinforcing inequalities deeply rooted in the system. 2. a) Has the situation of women in the South-Med region been improving in terms of concrete economic empowerment? Yes, it has been improving in the region through some advancement in education mostly and enhanced legislations. Yet, inequalities are still prevalent in the region and concrete economic empowerment seems to be far from reached. The South-Med region seems to be behind in gender equality matters compared to other regions and the situation is actually improving slower than in other developing regions such as East Asia and Pacific or Latin America and the Caribbean. ILO estimates suggest that female labour force participation reached 59% in East Asia and Pacific in 2017, while in Latin America this rate reached 51.5%. As for the Middle East North Africa (MENA) region, the female labour force participation is less than half and close to only 20.6% in 2017. The region also lays behind when it comes to a other indicators of women economic and political participation. b) You argue that the situation is not improving at the correct pace despite the measures adopted, why? The answer is simple, when it comes to policy making regarding gender equality issues, two aspects are key to understand the inefficiency of the available measures adopted: On the one hand, there are obstacles that impede on the full implementation of measures. On the other hand, these measures are not comprehensive of the situation of women in the region. First, measures are often hindered by the lack of social will to change. Due to the unconscious biases and other implicit and explicit channels, top-down initiatives are often misunderstood by locals, not accepted by the whole society and seen as inadequate. Mentalities and social norms remain not open to structural change, therefore despite national and international efforts, locals will find a way to deviate or pretend to change the situation without real consequences on empowerment. Moreover, the measures adopted are often punctual uncoordinated projects and legal adjustments that do not into account the whole picture. The symptoms of the inequality problem are tackled but not the roots. Measures often lack consistency, sustainability/durability and are not part of a holistic approach to the matter. For instance, it is not enough to implement quotas, the system itself needs to work on reforming the role given to women and deconstructing the stereotypes and structural norms. In addition, there is no one South-Med woman but different profiles with different needs and that face different degrees of discrimination. For example, rural women accumulate inequalities and the answers to empower them are not the same as for women living in the capital. 3. How can the state create the conditions for women to fulfil their untapped potential? To reach a structural empowerment the state needs to implement comprehensive laws and women empowerment needs to be a priority in National agendas, not only an aspiration. There is a need for national strategies creating the conditions allowing women to fulfil their potentials in all sectors of the economy, society and national politics. Creating a flexible national framework that understands women’s needs in each sector of activity and each context, would allow to institutionalize women empowerment. These principles would lead to a better framework for legislative reforms especially in issues such as family law and a modification of educational curricula to support social change. However, to ensure a real empowerment of women, the state needs to coordinate its action with the other stakeholders. With a focus on children’s education, coordinated action could help change the perceived role of women in the society especially that biases start to develop at a really young age (around 3-5 years old). To make the message more relatable and legitimate, the State needs to work with local leaders such as religious leaders and other influencers that would help mimic good practices and expand the influence of adopted measures. However, working with the whole ecosystem does not mean working on improving the picture of women at the expense of men. It means to include men in the debate and to make them aware of the benefits of gender equality to the whole society. 4. In which ways can the private sector provide solutions to improve the way we invest in women? Beyond understanding the positive economic externalities of gender equalities, the private sector could help improve policy making by building public-private partnerships in several fields relevant to women empowerment such as the digital sector by training women in coding, investing in vocational training, data gathering and rural areas. Moreover, to ensure women’s economic empowerment enterprises could offer alternative and flexible working environments that take into account modern perceptions of responsibility sharing in a household. This could mean offering the possibility of work-from home for men and women for 1 day a week or a payed paternity leave on top of the maternity leave or a possibility of bringing children to the office 2 days a week… In addition to these internal policies, enterprises could also install principles of gender equality in their internal functioning by setting a quota in their management boards. Additionally, enterprises can have an impact on stereotypes and social norms through marketing strategies and Ads. If the message of ads becomes more reliant on gender equality principles, stigmas could decrease. 5. You talk about role modeling and mentoring. How can it contribute to women empowerment? This is a truly important point. Role modeling and mentoring are essential in order to instigate social change not only by empowering young women and raising their self-esteem and confidence but also by showing men the potential of women and allowing young men to grow accustomed to equality of chances. On the smaller scale, mentoring can take the figure of small local initiatives working with women on increasing their self-esteem or exploring all the potential professional options available to them. This is the case of portraitists and mentors intend to help women grow more independent and strong. On the bigger scale, initiatives such as establishing a TV channel featuring women from the region or the launch of a regional comity for gender equality regrouping influential women from different backgrounds could help increase the visibility of success stories. This would allow young women to identify with successful women and thrive to achieve their untapped potential. This is due to a crucial aspect of role modeling, it helps women not only explore their options in terms of goals but also in terms of ways and paths to achieve them. Social norms can be changed and creating a virtuous circle for women empowerment from within the ecosystem and based on role-modeling, solidarity and mentoring can be a valuable step to achieve this. In this report we will argue that for a better understanding of how business services can contribute to competitiveness and growth in Morocco and Tunisia decomposing trade flows in terms of value added can be a useful first step. We start from the OECD-WTO Trade in Value Added database (OECD, 2016) to decompose exports in value added in business services from Morocco and Tunisia to the EU28 and to the rest of the world. This decomposition is used to compute several indicators of participation in the GVCs. Two business services industries are examined: computer and related activities and R&D and other business activities. Combining an adequate trade liberalisation and investment policy reforms and the promotion of business linkages between foreign and domestic firms could help local companies move up to GVCs thanks of the transfer of knowledge, skills and technology. FEMISE recently published its Policy Brief “Boosting female labour market participation rates in the MENA region : Can collaborative economy be of help?”. Autthor of the MED BRIEF, Dr. Katarzyna Sidlo is a FEMISE researcher who actively participates in the activities of the network. 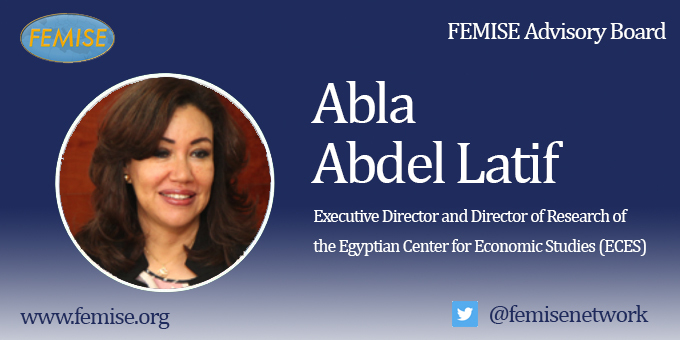 Her work assesses the potential of the collaborative economy to increase women’s labor force participation in the MENA region (Middle East and North Africa). More specifically, it examines ways in which the collaborative economy can enable women who are interested to join the labor market.